For the modern world Greek tragedy is represented almost entirely by those plays of Aeschylus, Sophocles and Euripides whose texts have been preserved since they were first produced in the fifth century BC. From that period and the next two hundred years more than eighty other tragic poets are known from biographical and production data, play-titles, mythical subject-matter, and remnants of their works quoted by other ancient writers or rediscovered in papyrus texts. This edition includes all the remnants of tragedies that can be identified with these other poets, with English translations, related historical information, detailed explanatory notes and bibliographies. 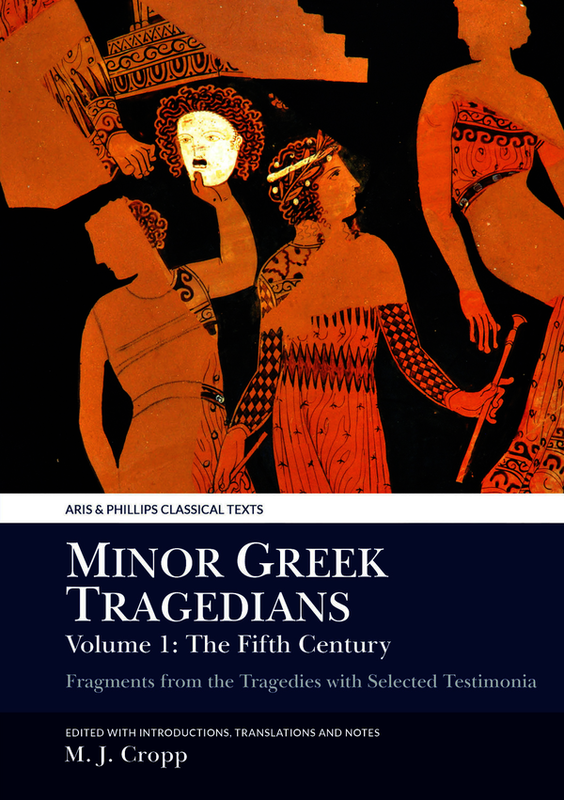 Volume 1 includes some twenty 5th-century poets, notably Phrynichus, Aristarchus, Ion, Achaeus, Sophocles’ son Iophon, Agathon and the doubtful cases of Neophron (author of a Medea supposedly imitated by Euripides) and Critias (possibly author of three other tragedies attributed to Euripides). Volume 2 will include the 4th- and 3rd-century tragedians and some anonymous material derived from ancient sources or rediscovered papyrus texts.Remnants of these poets’ satyr-plays are included in a separate Aris & Phillips Classical Texts volume, Euripides Cyclops and Major Fragments of Greek Satyric Drama, edited by Patrick O’Sullivan and Christopher Collard (2013). Martin J. Cropp is Professor Emeritus of Greek and Roman Studies at the University of Calgary. In the Aris & Phillips Classical Texts series he has edited Euripides’ 'Electra' (1988, 2013), Euripides’ 'Iphigenia in Tauris' (2001) and 'Euripides: Selected Fragmentary Plays', Volume 1 with Christopher Collard and Kevin Lee (1995, revised 2009) and Volume 2 with Christopher Collard and John Gibert (2004).